I found this somewhere on this site: NAPA 10-1371 master cylinder. It's for a '74 Corvette with non-assisted brakes, IIRC. Mine, modified for dual-circuit operation and combined with E-350 wheel cylinders, works great. Another view. Do you need a throttle spring? I think I have a few. But if you have to order other stuff, you may as well get it all from them. 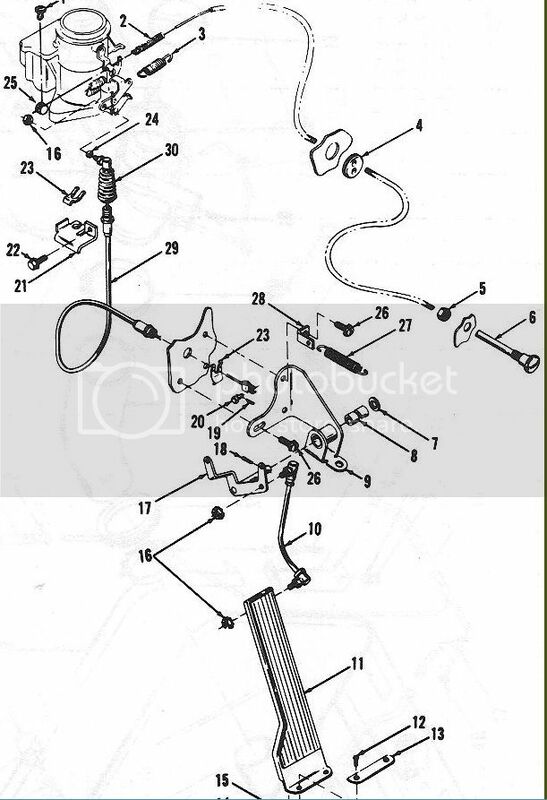 Tried to edit the above, didn't work: You'll need to run a new brake line from the rear port on the MC to the brake line going to the rear of the truck, run a line from the front port to the junction block on the frame, and plug the now-unused port on the junction block. 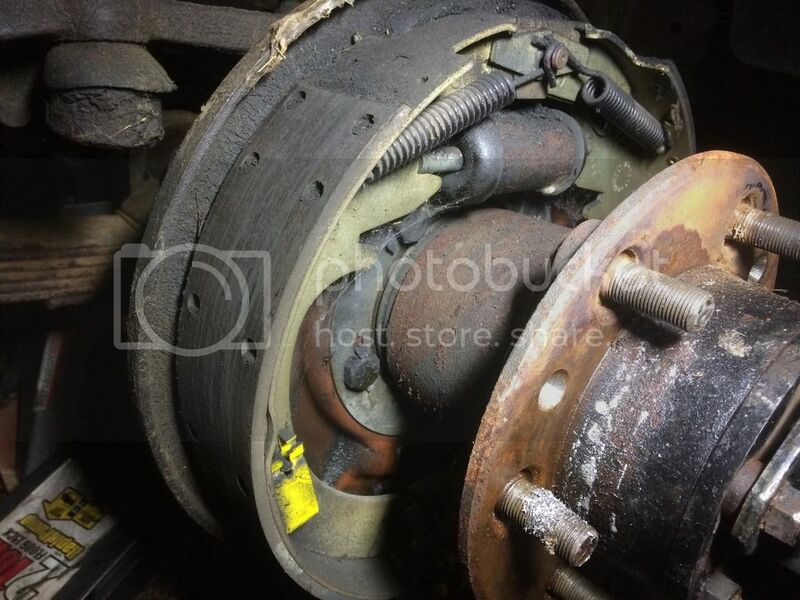 All in (MC, 2 brake hard lines, 2 brake line reducers for the MC, a coupler for the new rear brake circuit, and a threaded brass plug) I think maybe $75 covered it. I think I'll probably go that route. You don't happen to remember the part number for the wheel cylinders? Or do you know what year e350 they are for? Will any year work? 93 E-350 with single rear wheels. Brute4c posted some part numbers farther down in that thread. Get you a cutter drill bit for your Dremel or small drill to hog those mounting holes out. And it's worth the trouble to take the backing plates off to do the swap... it's a real hassle with the backing plates mounted on the truck. Thanks Von-- that was going to be a chore to remember. I'll add to his advice on the mounting hole modification: Unless you have a coffee can full of Dremel stones you want to expend in this operation, go get a large size chainsaw file (7/32 IIRC), cut it in half, and use it in a drill to work on those holes. This worked MUCH faster than any other method for us. We had to heat the holy hell out of those drum screws and use an adjustable wrench on the screwdriver to get them to budge. Dumb design. A quick question for you guys, Does anyone know the specs for the drum retaining screws? I can't find anything despite my best efforts. The best guess that I have is that they're 3/8"-16 thread and are 3/4" in overall length. Is this correct? I'm also planning on switching to the hex head. Thanks for the help. I measured them to be 5/16, but I could be wrong. I've got some on order from McMaster with a 3/16 socket head hex.